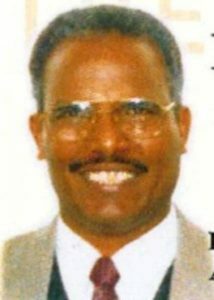 Dr Kiflu Gebremeskel has been in prison in Eritrea since May 2004. 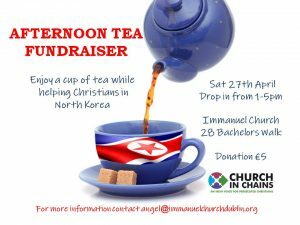 Before his arrest he was chair of the Eritrean Evangelical Alliance and a leader in a network of house churches that was banned by the government. A former maths lecturer, with a PhD from Illinois Institute of Technology in Chicago, Dr Kiflu was faculty head in the University of Asmara until 1999, when he became full-time pastor of the church he founded, Southwest Full Gospel Church. He was a member of the executive committee of the Full Gospel Church of Eritrea, one of the country’s largest Pentecostal networks, comprising about 150 house church groups. These house church groups were closed by government decree in May 2003 and given an application form for government registration. They completed and returned the form, but no reply was ever received. This followed a crackdown on Christians in Eritrea in May 2002, when the government banned all religious groups except the Eritrean Orthodox, Roman Catholic and Lutheran churches and Sunni Islam. Dr Kiflu was arrested in a 5 am raid on his home in the capital Asmara on 23 May 2004. Two other Christian leaders were arrested with him, Rev Haile Naizghe (chair of the Full Gospel Church) and Pastor Tesfatsion Hagos of Rhema Evangelical Church in Asmara. During the three leaders’ arrests, police officials confiscated the keys to their church offices and threatened their wives. Initially the men were held in police cells, but later they were transferred to the notorious maximum-security Wengel Mermera Central Criminal Investigation interrogation centre, part of Asmara’s 2nd Police Station. It is believed that many of Eritrea’s prominent political and military prisoners are incarcerated in this dungeon-like inner labyrinth of cells, as well as Christian leaders. 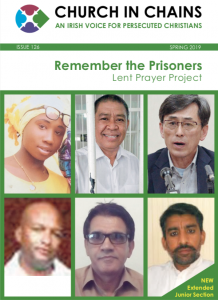 News from Eritrean prisons is extremely difficult to obtain and often emerges from relatives of other prisoners; publicising news of Eritrean prisoners is potentially harmful to the prisoner and those with whom he or she is held. It is believed that Dr Kiflu is still being held with Rev Haile and other Christian leaders, including Pastor Kidane Weldou, Mussie Ezaz and Pastor Meron Gebreselasie. Pastor Tesfatsion was released in 2010, gravely ill, but recovered and left Eritrea. There was no news of Dr Kiflu for several years, but he has been seen occasionally in recent years, by visitors to other prisoners or during hospital visits. In late 2014 he was seen in a hospital, but the person who recognised him was not allowed to speak to him. Dr Kiflu’s church continues to be banned in Eritrea and has been forced underground. When its members meet they run the risk of arrest and imprisonment without trial. Dr Kiflu and his fellow leaders have never been tried, and have been held incommunicado since their arrest. 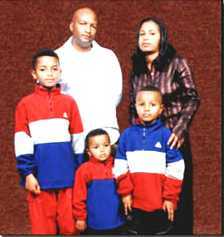 Dr Kiflu and his wife Elsa have four adult children – three sons (Yosias, Daniel and Senai, who is the youngest) and a daughter, Hermala. The middle two, Daniel and Hermala, are twins. None of his family members has ever been able to visit him.